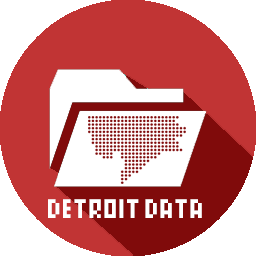 This map was part of the Detroit Environmental Agenda in 2013 from a team of partners working to improve the overall quality of life, health, and safety of Detroit’s environment and its people. A few maps have focused on green space and crime reduction correlations. 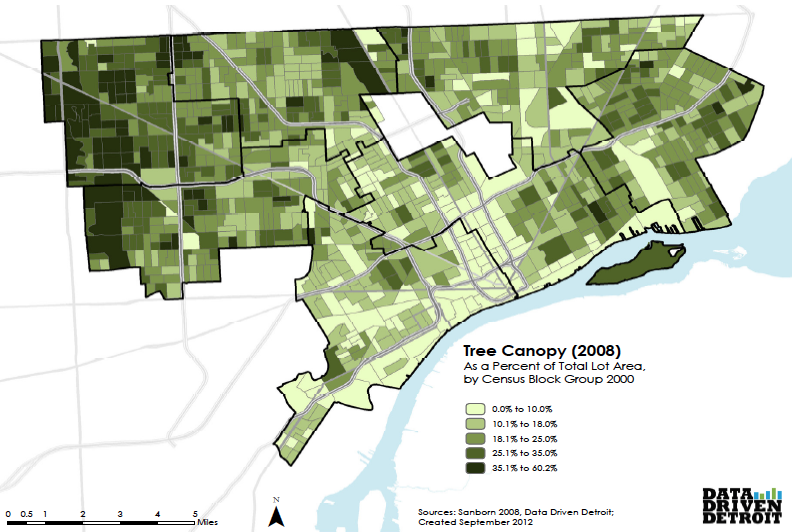 The Greening of Detroit is starting to share open data on where it completes tree plantings and recently the US Forest Service completed a comprehensive survey of all of Detroit’s street trees. The Detroit Future City report calls for carbon forests around expressways, which I believe is beginning to be piloted, and the expansion of mixed use green space.